Taking your car over the pits? Cloudy headlights are an automatic fail! 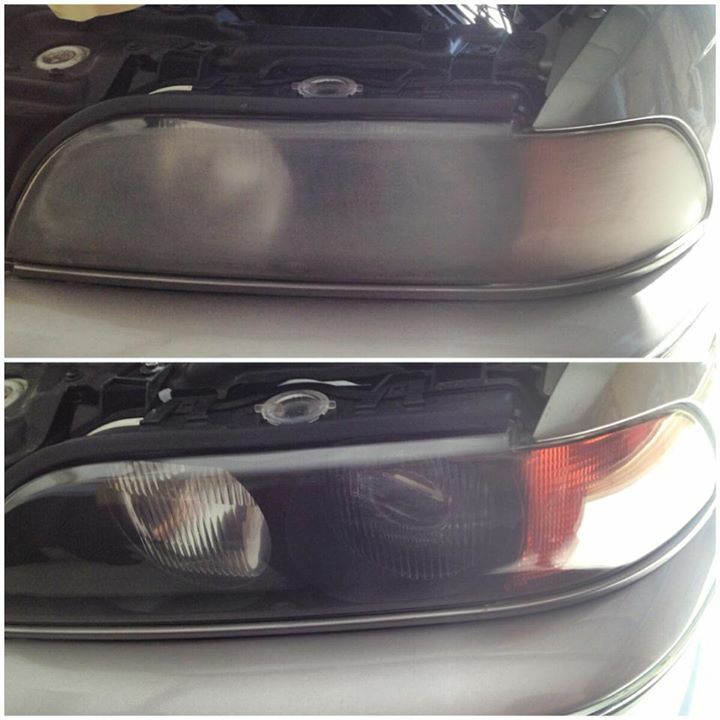 This week has been a busy week for headlight restoration enquiries. One of our customers told us the story of his recent attempts to take his vehicle over “the pits” – and how the vehicle inspection had failed because of cloudy headlights. If you’ve ever taken a car for a vehicle inspection at “the pits”, then you’ll know: they check everything! As small as it may seem, cloudy, yellowed and opaque headlights are more than just a cosmetic problem. Once headlights become opaque, their light is dimmed resulting in lowered safety… for you and other drivers on the road. That’s why a good vehicle inspector won’t pass a car unless the headlights are crystal clear. While it’s tempting to save money and restore your headlights by yourself, there are many problems you could run into. First of all, you often need to refine/polish the headlights using a polishing machine. If you’re not familiar with using these machines, you could find the entire process messy and intimidating. Many people choose the wrong abrasive polish and end up doing more harm than good. Secondly, you’ll need to use a UV coating product. These can be difficult to use, especially if you’ve never done it before. Considering that a headlight repair kit from your local auto store will set you back $35-$50, it’s still not “cheap” to do the job yourself. And if you value your own time, we’re willing to bet you’d rather not spend all weekend messing about with polishing machines, messy abrasives and fiddly UV coatings. That’s why we recommend giving us a call. We can make the entire process hassle free for you. From only $150/pair, your headlights will look like new in just an hour or two, with no stress and no mess to clean up afterwards. Give us a call to organise a convenient time for your headlight restoration. For a fast quote, email or SMS a photo of your cloudy headlights (and tell us your Perth location) and we’ll reply ASAP. Talk soon!